With the advent of technology, it is easy for most of us to print designs onto vinyl substrates. Before, heat pressing was the only way you can transfer designs to banners or other displays. Graphics back then were not durable and did not last long. Furthermore, complex designs cannot be fully displayed so ideas are being limited. However, digital printing brought a significant change in all these. Transferring designs to a vinyl substrate have never been faster, easier, and of better value. There are so many vinyl-cutting machines on the market, and Cricut and Silhouette are two of the leading household names in the industry. Today, we will take a look at the latest versions of these brands — Cricut Explore Air 2 Machine and Silhouette Cameo 3. Let us find out which will work best for you. The Cricut Explore Air 2 machine offers a lot of functions to its users. It can cut sophisticated details with utmost precision. You name it. Whether that is some lace stationary design or fine snowflakes, the machine can handle them well. It also writes using Cricut Pens. This makes your cards appear as if they were handwritten. It has more than 370 fonts to choose from. And thanks to its scoring stylus, this machine can make perfect fold lines from cards to acetate pinwheels or 3D paper crafts. 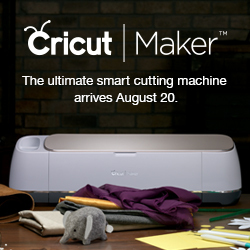 Cricut boasts that this new and hit die cutting machine is two times faster than any other. It can work wirelessly via Bluetooth too. The manufacturer claims it makes life beautiful as it can work with more than 100 different materials. These include the usual cardstock, fabric, paper, and vinyl as well as specialist media such as metals, leather, and foam. This DIY, smart cutting machine can also be run using an app. The app contains predesigned projects that you can quickly cut. The Explore Air 2 has the size of 24 by 9.5 by 9.5 and weighs 16.84 pounds. Personally, Cricut Explore Air 2 is my machine of choice for cutting any projects. It is the easiest to use, and the cuts are nice and clean. Its smart dial technology ultimately won my heart. This feature lets you choose the type of material you will be working with, and then the machine will adjust the pressure. Easy installation and use of the software – The Cricut Design space is very user-friendly. It comes with online instructional videos, making it ideal even for beginners. Has a Bluetooth feature for wireless cutting – You must have a Bluetooth connection from your computer or iOS mobile device. It is good to note that this machine was the easiest to connect to Bluetooth. Software does not work offline – It requires broadband internet connection and internet browsers. It is not a stand-alone machine. Minimum system requirement updates are necessary to update the software – Updating and meeting these requirements may require upgrading your entire computer system. Silhouette’s latest cutting machine is quite similar to its predecessor but with a few key upgrades and brand new features. It has been making waves among enthusiasts so reviewing this is a bit exciting. The Cameo 3 can cut more than 100 different materials up to 12 inches wide and 10 feet long. It comes with a built-in AutoBlade. The powerful blade can easily and quickly cut grips. Do take note though that the AutoBlade only auto-adjusts. It does not figure your settings for you. You still need to set all of the materials, while the Autoblade fine-tunes. You can also cut materials without using a mat following the introduction of the matless cutting. The Cameo 3 has a very sleek design. Many say it resembles like your home printer, to which I strongly agree. The machine flaunts a modernized touchscreen design. It has incorporated wireless connectivity via Bluetooth. This means you do not have to deal with a lot of tangled cables and wires. It can be a bit bulky though measuring 22.5 by 8.5 by 6 inches and weighs about 12 pounds. The dual-carriage feature is Cameo 3’s notable upgrade. Such feature allows the machine to carry out two different functions in one operation. Yes, you can cut and sketch all at the same time. And what does this mean? Of course, more work is done within a period of time. Broadband internet is only necessary to download and update the software. It is also needed for downloading fonts and images from the store. Other than that, this is a stand-alone tool. It cannot be denied that the Cameo 3 cuts well with all images. However, there are times when the machine experiences paper jamming, compromising small cuts. It does not have a smart dial, so you are responsible for setting the material and for testing if the pressure is correct. It can be tedious especially for beginners. You can find some cheat sheets though. Both machines are equipped with good software, but each has different learning curves. The Silhouette Cameo 3 is more sophisticated. It allows you to make and personalize images and make it your own. It has some toolbars and layer panels too that work just like Photoshop. But its complexity is not for everyone. Some find it not user-friendly. The application needs to run on a computer too. This means you will need to download and set it up, and of course, it will take some space on your hard drive. However, you will not be dependent on Wi-Fi to use. Meanwhile, Cricut calls its software Design space. It is the exact opposite of Silhouette’s as this is very easy to learn. You can easily navigate through the application, and everything is visually there. You do not need to hover over the icons. The only drawback is that it needs the Internet to work. Its speed and performance highly rely on the strength and stability of your Internet connection. You will also be required to log into your account. But on the brighter side, it will not take any space on your hard drive. Each machine has its own strengths and weaknesses. In terms of cutting abilities, Cricut Explore Air 2 works best on different materials, particularly the thick ones. But Silhouette Cameo 3 has a better precision even on intricate designs. It can beat previous Silhouette machines. For the print-then-cut feature, Cricut Design Space limits the sizes of images you can cut. Printing quality is low too. Images do not appear sharp, while the colors are not as vibrant. The only advantage it has is its simplicity. The process of uploading images is very short. Meanwhile, Silhouette Studio can be a bit challenging to work with, but its outputs are impressive. Both images and colors are of high quality, even with very large pictures. The pen feature of Cricut Explore Air 2 allows you draw and write anything. It still has the dual head technology, single line fonts, and a place for fine tip pens just like the original Cricut Explore. However, one downside for this machine is that the pen leaves a dark dot on the spaces you started and ended drawing or writing with. On the other hand, Silhouette Cameo 3 allows you to make any cut sketch similar to Cricut. You can also purchase and download sketch items from the online store. While you can use different fonts, the Cameo 3 does not employ handwritten or single line fonts. But there is more room for creativity in this machine. It offers fill sketch for texts and more edit features for fonts. When handling materials, both are compatible with several different materials. Cricut is capable of a deep cut. A head-to-head study found that Cricut is better than Silhouette when it comes to the ability and preciseness. The mats from Cricut are sturdier than Silhouette’s. It comes in three different strengths too – light, medium, and strong. Silhouette’s mats feel so delicate. Its light sticking mat makes it difficult to cut heavier materials. However, this might not be a major issue at all with Silhouette matless cutting ability. The machine allows you to conveniently cut vinyl without a map and up to 10 feet long. You can easily work on very large projects without the need of loading and uploading the mats. Both machines have sleek designs. But I love the available fun colors of Cricut. Silhouette only comes in white. The Cricut machine is more portable as it is much smaller in size too. Silhouette can eat up a large amount of space as it requires a taller and wider clearance. Both devices have onboard tool storage. Cricut’s is a bit larger and can hold more tools. And like I said earlier, the Silhouette Storage tray looks like the typical printer tray that you pulled out. The area is small too, and the paper guides easily fold out. The two machines are equipped with double tool holders. The one tool holder goes for the blade, while the other for pens or the scoring tool. The Silhouette boasts a touchscreen LCD. You can find here tutorials such as how to insert blades or mats on the machine. Cricut, on the other hand, does not leave any room for error. Its smart dial feature will ensure that there are no guess works. Both brands have been rivaling to be the best cutting machine maker. Although they have lots of differences, they also share some similarities. Both machines can handle and cut intricate designs. They are compatible with a variety of materials too. They are capable of wireless connectivity via Bluetooth and are installed with different software incorporated into a design store. You can work on a cloud too, permitting you to work on other devices such as iPads and laptops. I particularly love both their sleek appearance and dainty designs. I say beginners should choose the Cricut Explore Air 2. It is very easy to work, and you do not need a day to learn everything. It is great for home decorations and scrapbooking. Pick the Silhouette Cameo 3 if you work with larger images. It is not only intended for home decorations but also for mug or T-shirt printing. Overall, both cutting machines have flaunted their advantages and disadvantages. Each has its own unique feature to boast. It is really difficult to pick which is which. It is either you get the fast cutting or the stable, multi-featured cutting. But at the end of the day, it all boils down to what purposes you want these machines to serve.